This was bought to replace the original 'Ford' battery in a Fusion Automatic. 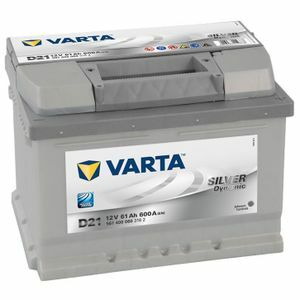 Having just bought a battery from Tayna for another car I contacted them about this one. Once again they were extremely helpful and I chose this battery as it was slightly higher spec and matched the original for size. Tayna price, packaging and delivery were excellent with the battery arriving well within the 2hr timeslot advised and in less than 24hrs. Very impressed and can thoroughly recommend. Battery received 2 days after having ordered it so very fast shipping ! Used these batteries before and they stand up to no end of abuse! I use 2 of them to power a 5" gauge electric railway locomotive. Have in the past lasted much better than the last set of leisure batteries I used. Good quality product delievered on time. Arrived promptly very well packed and in good condition. No problems fitting it, but of course I won't be able to say how good it is as a battery for a year or two! It was an easy fix, and fit just as the stock battery did. On my Ford Focus I also had to reset battery management, but no longer get any battery warnings. Can't fault it, and no issues so far. The last one lasted 4 years almost to the week.. I hope this does as well. Excellent product, delivered promptly and safely. It conformed exactly with the dimensions given and fitted easily. Top quality for best price and superb delivery.